With the support of the National Cooperativism Learning Service (Sesccop / TO), Cooperfrigu participated in another HSM Expo 2018 meeting, which took place from November 05 to 07, at transamérica expo center, in São Paulo (SP). The event has more than 100 lectures given by international and national experts. 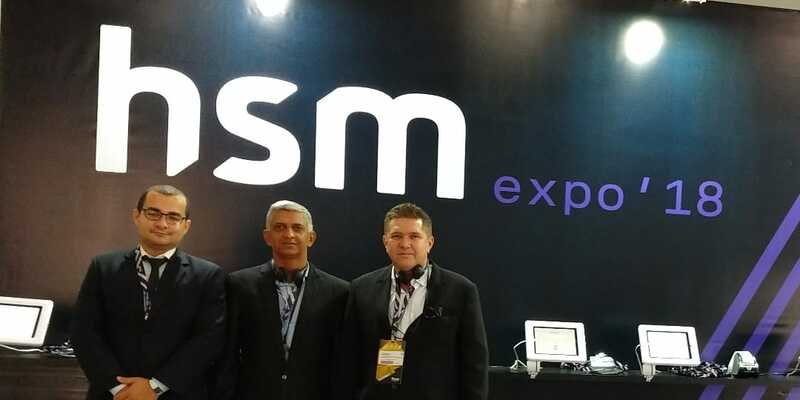 Cooperfrigu representatives at the HSM Expo 2018 are Aelton Camargo, Flávio Nonato Reis and Romário Andrade. The purpose of the meeting is to make opportune moments of leadership for the development of leadership through contents and learning experiences, in order to improve and update the knowledge, with topics of paramount importance for business. He also argues that innovation within the management and development of leaders and organizations can change the country. HSM is a knowledge platform that bridges the global scenario with the Brazilian reality, building collaborative networks that impact the performance of companies and their teams, this constant dialogue happens in the events, in the customized programs of executive education for averages and large companies and in the content distributed by the most diverse and current media platforms. “Our participation in these 3 days of HSM will be of great value, because through these new knowledge acquired, we will carry rich knowledge with the objective of improving the development of employees and the company. We have heard world-renowned speakers and with them we have filtered the new trends of personal and technological change and one of the main points that we must grasp, unlearn and always be open to the new. A very well organized trade show.” Said the Administrative Director of Cooperfrigu, Aelton Camargo.